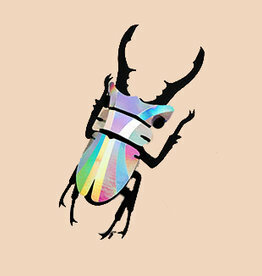 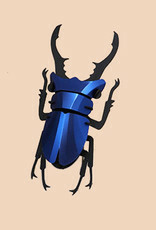 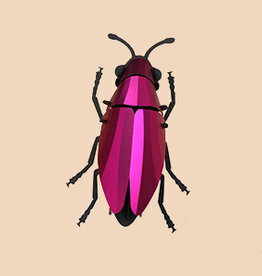 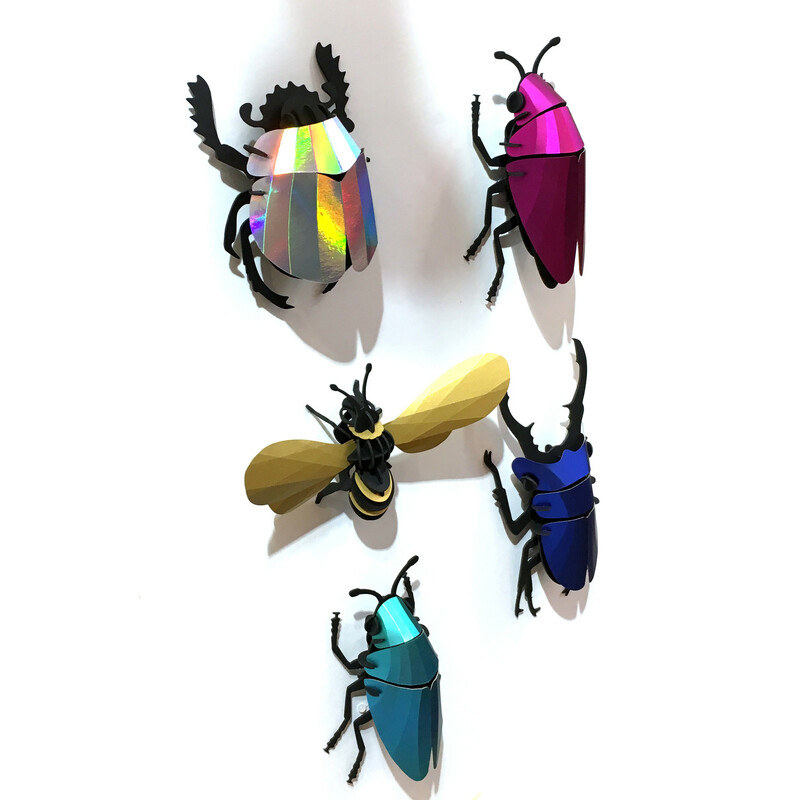 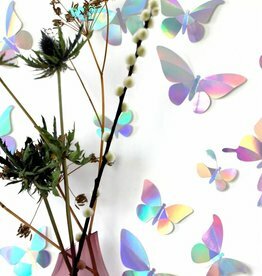 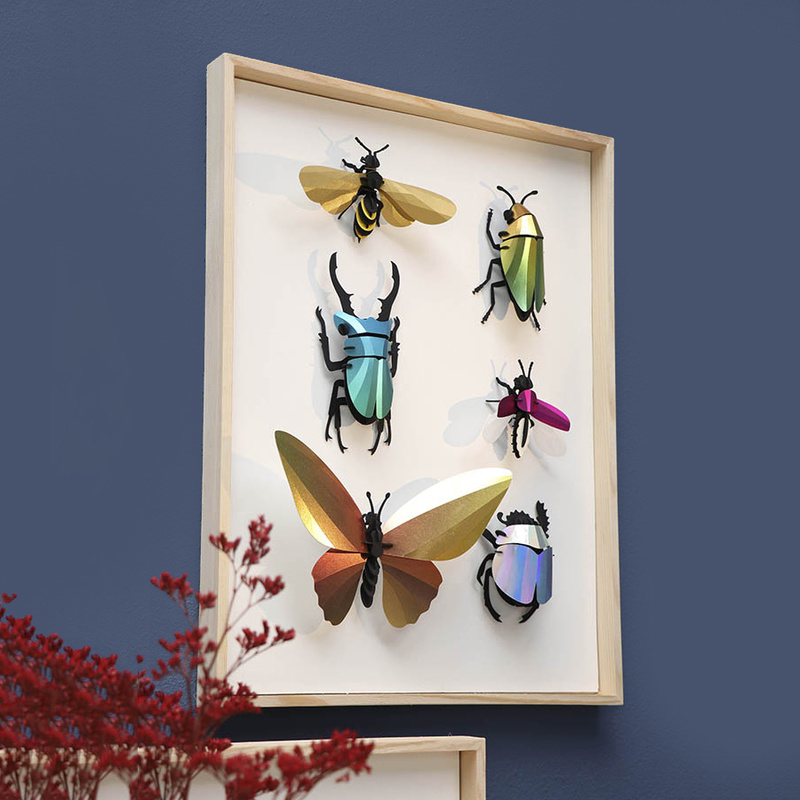 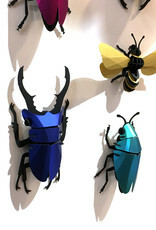 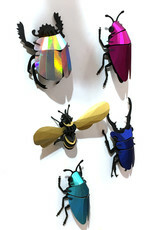 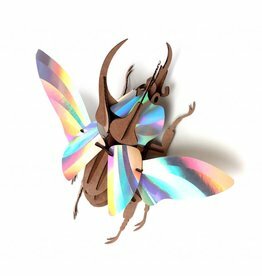 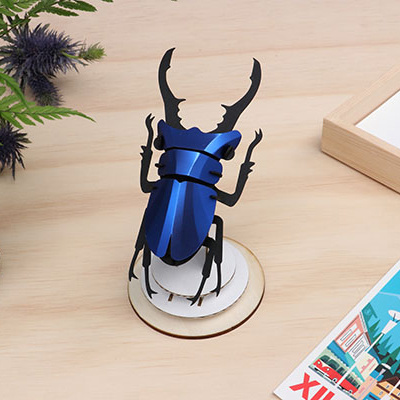 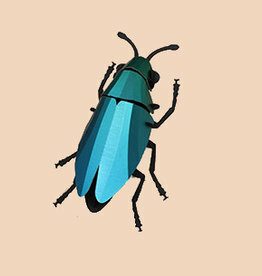 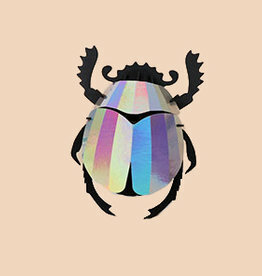 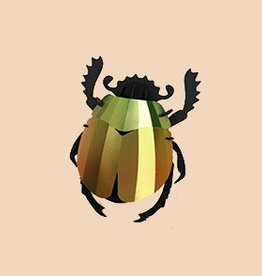 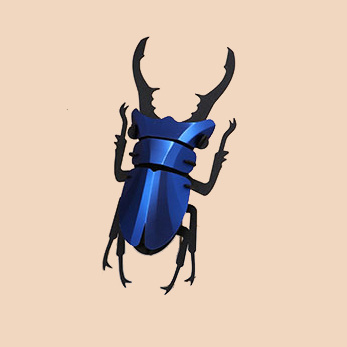 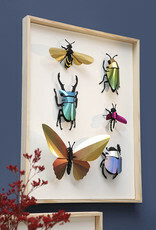 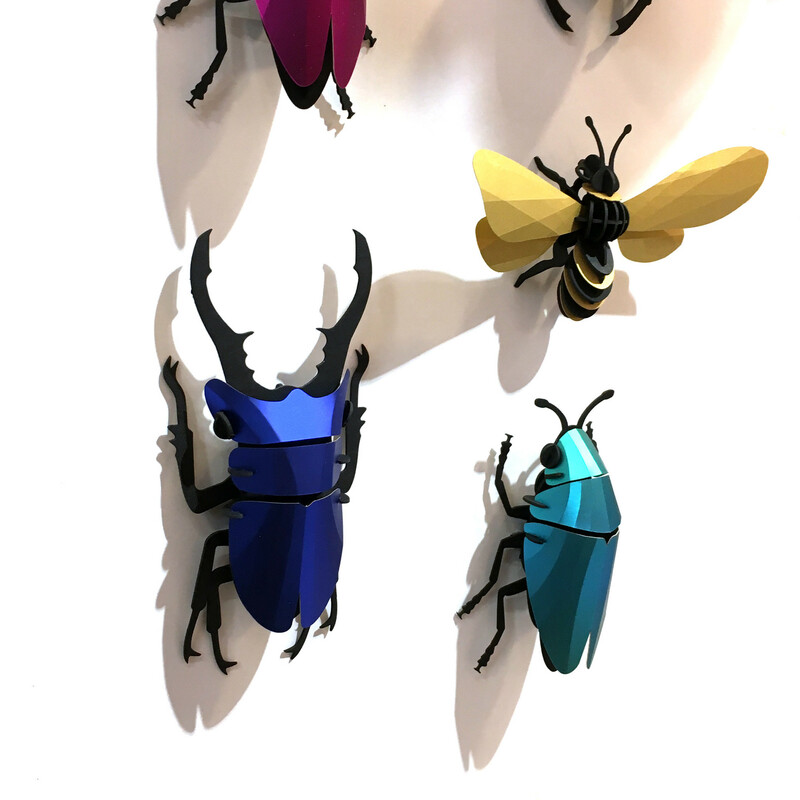 3D paper stag beetle assemble kit / puzzle. 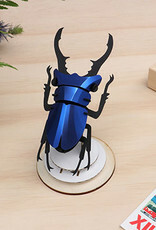 Combination of black cardboard and blue metallic paper. 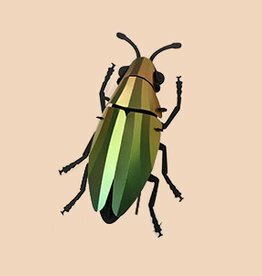 Height: 14 cm, width: 6,5 cm, depth: 3 cm.